Pedigree: Perennial quarter-finalists, never once failing to make the last eight. In 1991, they went one better, and were a Gavin Hastings shanked kick away from the final. Last time out, they nearly took Argentina from the long grass. Players to watch: Lets be honest, this Scotland squad is pretty low on inspiration. However, that isn’t to say they are hopeless. In Richie Gray, they have a man who will be a Lion in 2 years time, and who the pack will be built around for many years to come. Sean Lamont is a rare example of a leader in Andy Robinson’s team – his criticism of his team-mates during last years 6 Nations showed he was willing to step up. Another potential Lion is Max Evans out wide. Good Tournament: Given the amount of gloom currently hanging over them, a quarter-final would be seen as an achievement, although a 50 point demolition by the All Blacks is a dubious reward. Bad Tournament: Giving Argentina and England decent games is the baseline, even if they get edged out in both, but if they come close to humiliation against Romania or (especially) Georgia, Scottish hearts will sink even further. Prospects: Whiff of Cordite sat in Croker in 2010 and watched in astonishment as the Killer B’s dealt with the much-vaunted Irish back row with ease. That really should have completed a deserved Triple Crown for the Scots – a one in a million collapse against Wales and a draw against England were both games that should have been won. Come November, when they followed it up with victory over South Africa – their second Southern Hemisphere scalp in two years – we were expecting a big 6 Nations. But it didn’t happen. Andy Robinson took a step back and let the team take it to the next level – sink or swim time. And boy did they sink. A decent second half against a disinterested France and taking advantage of indiscipline to run Ireland close were as good as it got. 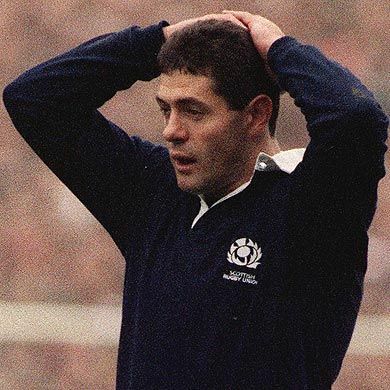 At least they beat Italy, but the tournament was hugely disappointing, with the performance against Wales in Murrayfield among the worst test performances in living memory. After that, Robbo withdrew what passes for his big guns from ML action, targetting the World Cup. Allowing for summer rustiness, a last minute win over (at best) the Ireland reserves was just better than unacceptable. Next up is Italy, then its playing the firsts into form against Romania and (gulp) Georgia. It’s eerily similar to Ireland’s preparation in 2007, and just ask Eddie how that turned out. Mind you, at least they’re skipping the Polish cryotherapy chambers and the Bayonne day trip. This really is a make or break tournament for Scotland – they pretty much got the best draw possible, and are under pressure to take advantage of it, something they haven’t thrived under in the past. If they do blow-up, Robbo will likely head back home, and it’s back to the drawing board once more. Verdict: Things are not looking hot. England will have too much, and Argentina should beat them in a mucky kick-fest. The real dread in Scottish hearts is what the Georgians might do to them – it’s safe to argue that Scotland have the worst scrum in Group B. If they manage to dispatch Georgia comfortably, they might just have the confidence to take on the Pumas and battle through. We don’t think it will happen though. A proud record to come to an end – out at the first hurdle. Did somebody order a Power of Four wristband? Pole Position: Ben Youngs is exactly the sort of scrum half you’d want to take on the Aussies. Struggled a little in the latter portion of the season but has plenty of time to iron out the kinks in his game. Look out for: Conor Murray. The Munster scrum half had a breakthrough lat year, and looks every inch the complete player. Should be Ireland’s first choice nine next season. Needs to improve: The 2009 Lions Mike Philips and Tomas O’Leary will need to get their mojo back to be in the mix. Too late for: Eoin Reddan will be pushing over the hill by 2013. Pole Position: Jonny Sexton looks by far the most complete and reliable of the options. Needs to bring consistency to his game at test level, and the shirt is his. Toby Flood would provide ample back-up. Look out for: George Ford is already causing excited mutterings among England fans, who wouldn’t overhype a player lightly. He is just 18, but served notice of his considerable talent in the recent U20 World Cup. Needs to improve: James Hook has talent in abundance and wants to play more at fly-half but must learn to boss the game to be a Lions 10. Too late for: The 2009 fly halves ROG and Stephen Jones will be past their best by the time 2013 rolls around. Pole Position: Brian O’Driscoll will have to have the shirt torn from his back. His body may give up before 2013, but for now he is still in poll position. No inside centre currently stands out. Look out for: Manu Tuilagi is the man who could take over from BOD. He has some work to do on his defence, but looks explosive with the ball. Fergus McFadden will be the established Ireland 12 by this stage and should be pushing for a spot. It’s early days for two very young players who should make big strides between now and then: Scottish centre Mark Bennett has just signed for Clermont and is hoped to be the quality centre Scottish rugby has lacked for so long, while Luke Marshall will become a key player at Ulster next year. Needs to improve: If Jamie Roberts can regain the form he showed in 2009, he is a nailed on tourist. But he has never looked the same player since. Too late for: Possibly BOD and almost certainly Dorce. Pole position: Generally the most unpredictable, as form plays a huge part. On the left wing, Keith Earls and Max Evans look the most likely, while on the right it is hard to see Ashton and Bowe being displaced. Ben Foden looks the real deal at 15, though Rob Kearney can challenge if he recovers from injury and adds greater variety to his counterattacking game. Look out for: Lee 0.5p has been bedevilled by injuries, but if he can get back on track he can be world class. Llanelli’s starlet George North also looks set to make a big impression, while Tim Visser becomes Scottish qualified next year, and if he can take his try-scoring exploits to test level will certainly be a Lion. Needs to improve: Luke Fitzgerald endured a difficult season and needs to get back to his pre-injury form. If Oooooooooohhh Matt Banahan can add pace, a sidestep, softer hands, a brain and defensive positioning to his bulk, he could contend for a spot on the plane. Too late for: Lee Byrne will be pushing 32, while it looks a tour too far for Shane Williams. After the Six Nations next season, we’ll revisit and see how our Lions Ladder is looking. No doubt we’ll try to rewrite history to make it look like we were right all along.